The Kitchen Cabinet is BBC Radio 4’s successful culinary panel show. 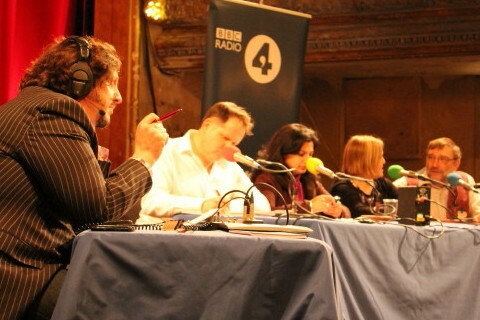 Jay Rayner chairs an expert panel who answer questions on food and cooking from audiences around the UK. I had the original idea for this programme back in 2009 and am its food consultant. This means I advise the talented production team at Somethin’ Else on topics for the panel to discuss at each show, a most fun job. Click here to find out about more and tune in.